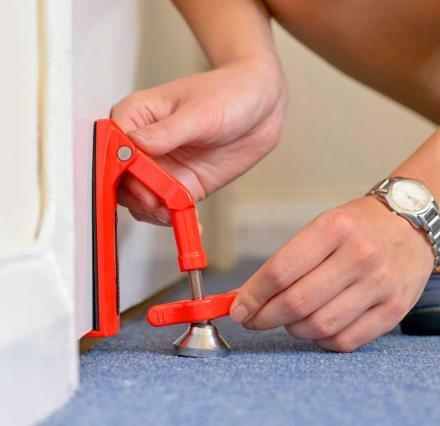 We certainly don't want bats in our actual house, but some people actually like having bats around their home or in their backyard to help devour and kill mosquitoes. 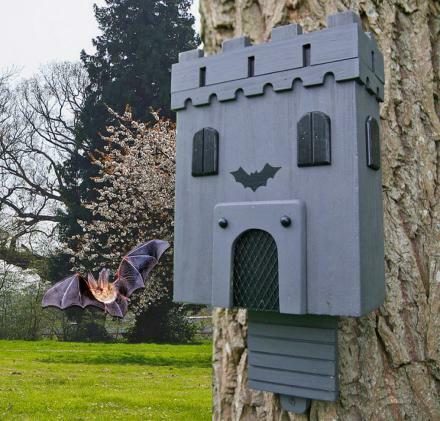 A single bat can eat/kill between 6,000-8,000 bugs and mosquitoes every night, which is why we love bats and build bat houses for them near our homes. 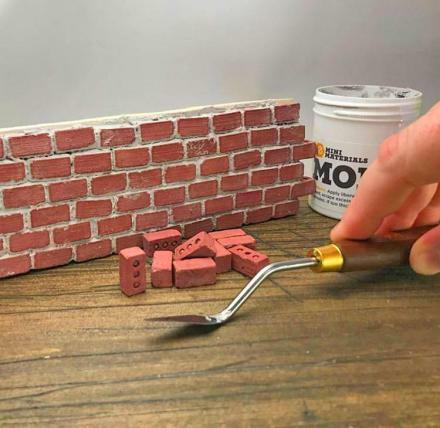 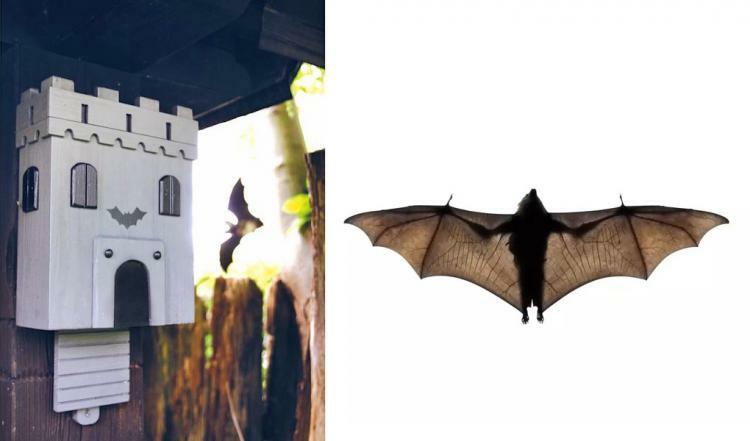 This unique bat castle will surely attract bats from afar to help control the clouds of mosquitoes that hover around you whenever you're in your backyard. 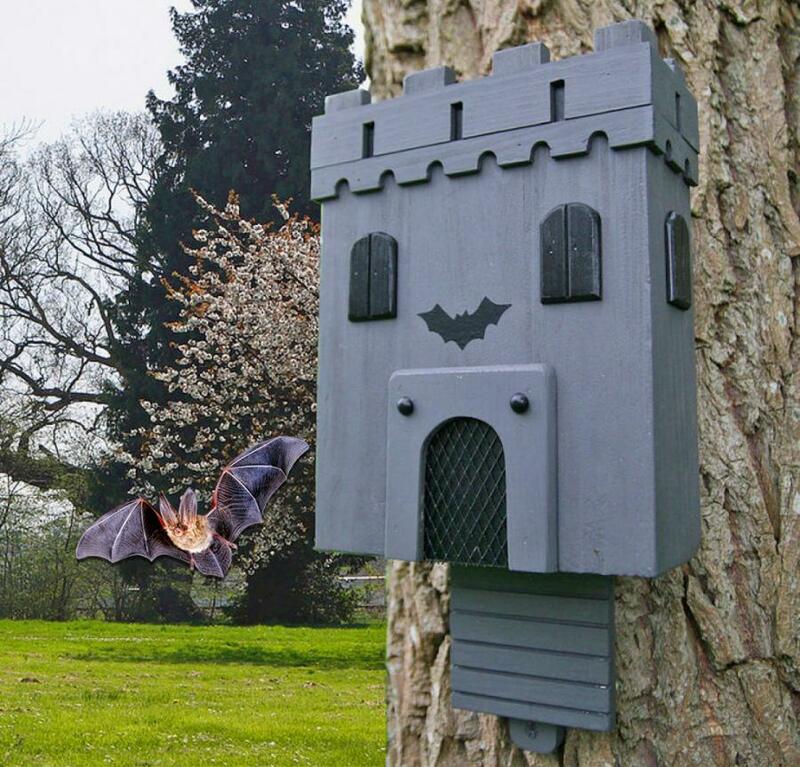 Bats usually nest in hollowed out trees if they can't find a cave to hide out in, and when there's not adequate space to nest, they'll usually move on to find a new place to live. That's why it's essential to give bats a nice cozy, dark place to sleep in all day while they rest for the feast at night. 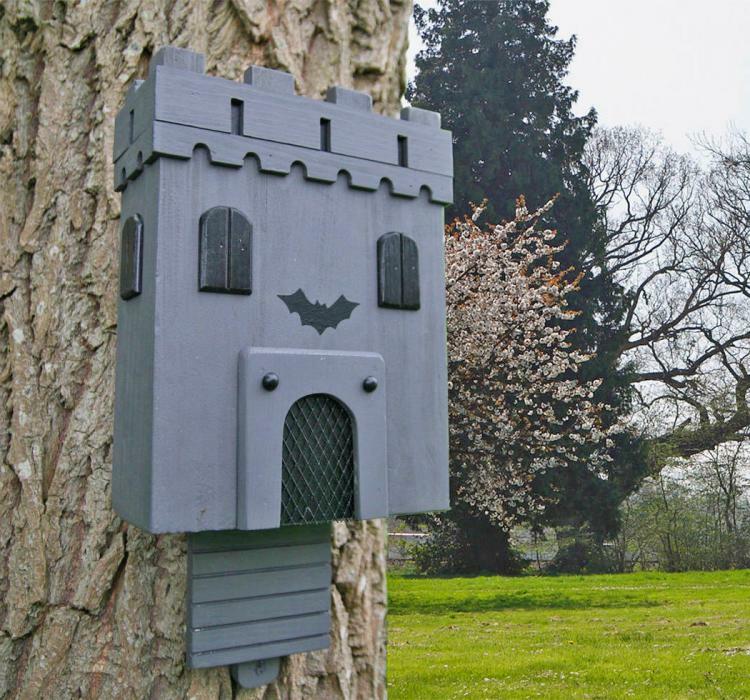 The backyard bat castle bat nest is made from weatherproofed wood, and is especially designed for bats to live in. 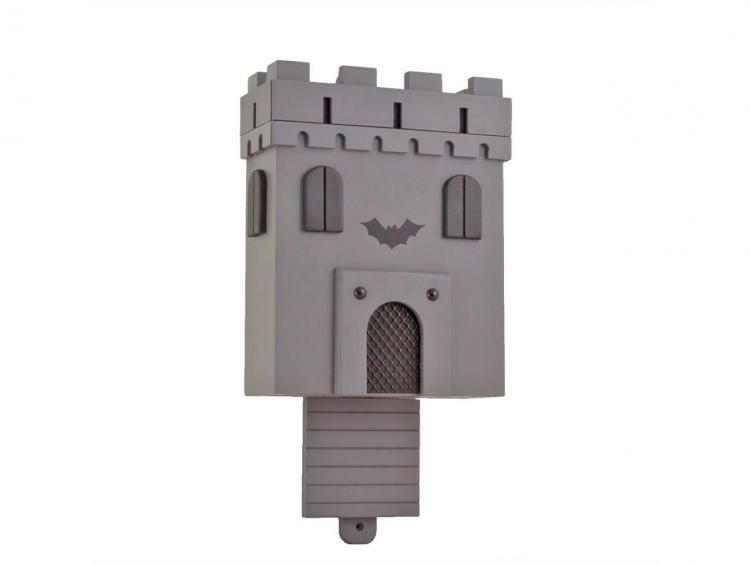 The castle shaped bat nest can be mounted onto any tree, and should be placed 10-13 feet above the ground so that the bats have plenty of room to get in and out. 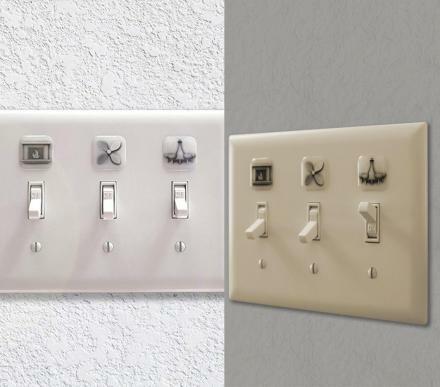 There should also be no branches just outside the entrance, and should ideally be mounted facing south, and not in direct sunlight. 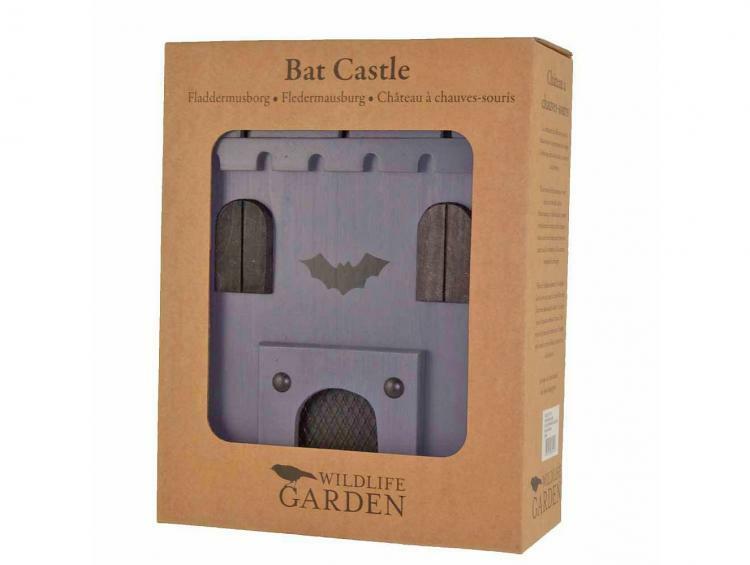 The bat castle backyard bat nest uses environmentally friendly colors, comes with all the mounting equipment and mounting screws you'll need to attach it to a tree, it weighs 2.4 lbs, and it measures 8.5 inches x 4 1/3 inches x 15.75 inches.